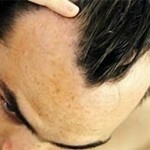 Experts say they have discovered what they believe is the cause of male pattern baldness. The news story that is the basis of this blog entry reports that scientists “discovered” if they give people money making weight loss surgery their memory will improve. This story belongs in the Scientists R Stoopid section because the scientists have no idea why weight loss surgery improves memory. Scientists believe human being has become smarter than his ancestors despite the fact that the size of his brain has reduced in the past 30,000 years.